Yes, not every phone is perfect. And while the Droid X is going under every sites check list, some handsets are suffering from something more serious than sub-par software: a major defect in it’s 4.3 inch screen. A small amount of early adopters have reported (and shown on YouTube) that either their screens will flicker at an amazingly fast (and unusable) rate, or the bottom half of the screen simply fails to show anything. Verizon and Motorola have acknowledged that some handsets do have an issue, but it has already been fixed in units shipping currently. For those who are experiencing the issue, you can call Verizon and expect a replacement unit. “Motorola has resolved the issue and is continuing to ship the phones. Any consumer who experiences a flickering or banding display should contact a Motorola customer support center or Verizon Wireless,” a Verizon Wireless spokesperson told Engadget. Apple has updated their iPad page to include it’s pre-order and launch date. Pre-orders will start on March 12th, and the device will arrive either in-store or delivered to your door. 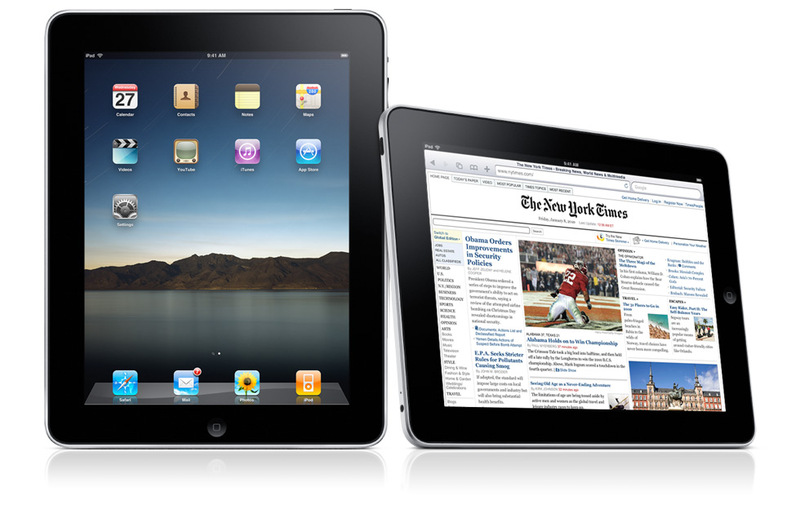 The iPad will be available in the US on Saturday, April 3, for Wi-Fi models and in late April for Wi-Fi + 3G models. In addition, all models of iPad will be available in Australia, Canada, France, Germany, Italy, Japan, Spain, Switzerland and the UK in late April. 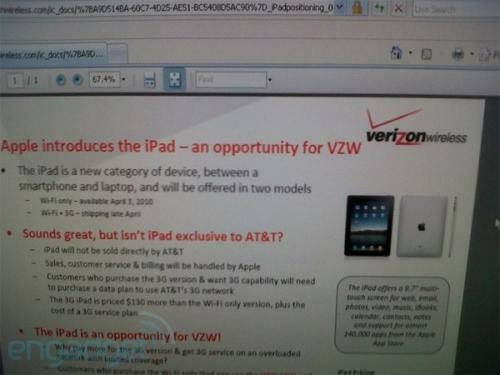 Leaked documents have also shown that Verizon may be after the iPad to provide service, because the Wi-Fi versions are not specifically AT&T’s to sell. In other words, they don’t have exclusivity to the iPad as they did to the iPhone. Verizon’s MiFi proposal does require, however, that users carry a separate device in addition to their iPad. And on the pricing front, the two-year MiFi contract is priced at $39.99 per month for 250 MB of data or $59.99 per month for 5 GB of data, significantly higher that AT&T’s contract-free iPad-only data plans priced at $14.99/250 MB or $29.99/unlimited per month. Apple sent out invitations today to it’s January 27th event. 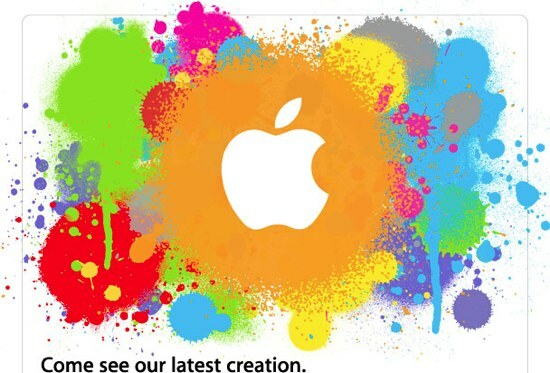 The invitations show some very colorful paint blobs, and reads “come see our latest creation”. This leads us to believe that whatever is unveiled will be extremely different and colorful. In other Apple news, the App Store has now sold over 3 billion apps, and AT&T has lowered their pricing plans for the iPhone to match all of Verizon’s plans for their smart phones. 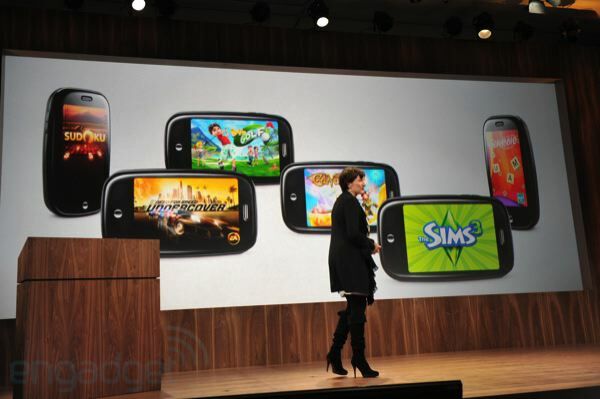 As Palm’s keynote finishes, we can start to understand just what their main goal was: upgrade, upgrade upgrade. Not only did they announce TWO new phones, but they’ll also be some other… adjustments. First off, the Pre is getting a makeover. The 2nd generation of the Pre will be available on Verizon and will be sporting a new slider (that reportedly makes the phone feel more snappy and solidly constructed), a new set of keys that are not orange (and possibly a bit more raised), and a new capacity of 16GB capacity. The Pixi didn’t get such a dramatic makeover. It only added itself to Verizon’s lineup with WiFi. Palm also unveiled a “Mobile Hotspot” app, so that you can tether more than one computer to your phone for Verizon 3G connectivity. The app is subject to monthly charges (unless you have unlimited data). It seems like the closer WWDC 09′ gets, the more rumors people think of. Even though WWDC has sold out for the second time, people just won’t stop. Details from “BusinessWeek” suggest that we can expect an “iPhone Lite” and “MacBook Mini/Media Device” to appear. They speculate that Verizon is in talks with Apple about bringing some sort of version of the iPhone to the nation’s “best” network, however, that would be in major conflict with Verizon’s media service VCast. Sources have hinted that this may be an iPhone that has less memory, or can only run on an EDGE like network, instead of 3-G. It’s even been passed around that Apple may not even include GPS. Somethings a little off though. Why would Apple completely cut down their phone while Verizon continues to carry the BlackBerry Storm? Verizon and BlackBerry have adverstised highly against the iPhone, so it doesn’t seem like Steve would jump the gun on this idea. AT&T executives are most likely eyeing this closely, if it’s true, since they get to keep the iPhone to themselves until 2010. Now here’s where things get out of hand. Too many sources are trying to send’ round the rumor of a “MacBook Mini”. This version of the MacBook would obviously be a netbook. Although, I find it hard to believe that Apple would bash a type of product for so long, and then bring out one themselves. Again, it just doesn’t make sense. Neither would Apple compromise on design, features, or specs. Anyway, someone seems to have found some evidence on the Adium support and development page, which shows that there is one “MacBook Mini” using Adium. Even more crazy, yet so wanted, is the idea of a Touch Tablet. This touch tablet some people think might be the MacBook Mini, yet it’s still unknown. The Touch Tablet is rumored to have a 10 inch screen since the makers of iPhone screens are now also manufacturing a 10 inch screen. Go figure. USA Today has revived the rumor of Verizon and Apple trying to make a deal over the iPhone. While this is highly unlikely, it is possible since AT&T’s exclusivity gets cut of in 2010. Even so, twas a normal day for Apple. Staff wise, Bob Drebin is now apparently a Senior Director at Apple. For those of you who are unfamiliar with the name, Drebin used to be the Chief Technology Officer for the Graphics Product Group at AMD, until he left in January 2008, to assume this new position. “Bob Drebin is the chief technology officer of the Graphics Products Group within AMD. In this role, he oversees the technical strategy and direction for AMD’s graphics related businesses. And lastly, we leave with some Snow Leopard goodies. AppleInsider reports that the new version of Quicktime, entitled “Quicktime X” will arrive with new video uploading capabilities for use with YouTube and MobileMe. “In particular, the application will let users take any supported video file and upload it directly to YouTube. Users will be prompted to enter their YouTube username and password, and QuickTime X Player take care of the rest. This includes converting the movie into a file optimized for the video sharing service and then uploading it to the appropriate user account. Details from “BusinessWeek” suggest that we can expect an “iPhone Lite” on Verizon and “MacBook Mini/Media Device” to appear. Before you read the review, it might be a good idea to get to know Verizon Hub. The Verizon Hub uses a broadband connection to connect to the Internet and provide VoIP-based telephony services. It has a seven-inch touchscreen display that offers a wide range of features such as access to calendars, maps, directions, traffic, weather and movie times. The Hub will synchronize calendar appointments with any Verizon Wireless handsets that are added to the Hub. The Hub can also receive text messages, Chaperone service pings, and can send driving directions to handsets. The Hub will be available through all of Verizon Wireless’s retail stores and can use any broadband connection. Users will have to live in an E911-capable area, and will be able to port existing home phone numbers to the new service. The Hub will cost $200 after a $50 mail-in rebate, and will require a $35 per month subscription. That monthly fee gets unlimited national anytime minutes and unlimited messaging to/from the device. Read Gizmodo’s review of the Verizon Hub.